Traveling from her hilly Los Angeles perch, Moira Smiley leads her exquisite vocal group, moira smiley & VOCO, travels the world as a soloist in new, early, and traditional music, and creates new work for dance, theatre, and film. Moira was born in rural Vermont, moved to Indiana to pursue a piano performance degree at IU School of Music, and finished with a degree in Early Music Vocal Performance (and several recordings for Harmonia Mundi USA with Paul Hillier.) Moira fell in love with Bloomington whilst at IU, and toured with her vocal quartet, VIDA, singing a cappella folk songs from Eastern Europe and various other vibrant harmony traditions. VIDA came to be represented by IMG Artists, recorded three CDs of folk and original songs, and had an exciting seven-year career that culminated in concerts at Lincoln Center and other prestigious fine arts and folk venues in the U.S., Canada, and Europe. Moira’s mother tongue is probably traditional folk song. She moved to California to deepen explorations of Eastern European vocal music with the renowned KITKA ensemble. KITKA’s rigorous touring and recordings combine traditional songs and ground-breaking new works like Rusalka: Between the Worlds with Ukraine’s Mariana Sadovska. Moira did a song-study trip through Bulgaria, Serbia and Croatia in 2012. Studying Irish Sean Nós (old-style) singing and Appalachian ballad and dance-song began to combine with several stints in Europe doing physical and site-specific theater with various companies. Moira has been Musical Director for Shakespeare Santa Cruz and renowned dance-theater productions, and seeks sad clowns and stilts everywhere. In 2005, she recorded a solo CD, Rua, of Irish, Appalachian and her own songs – “rua” means “red” in Gaelic. 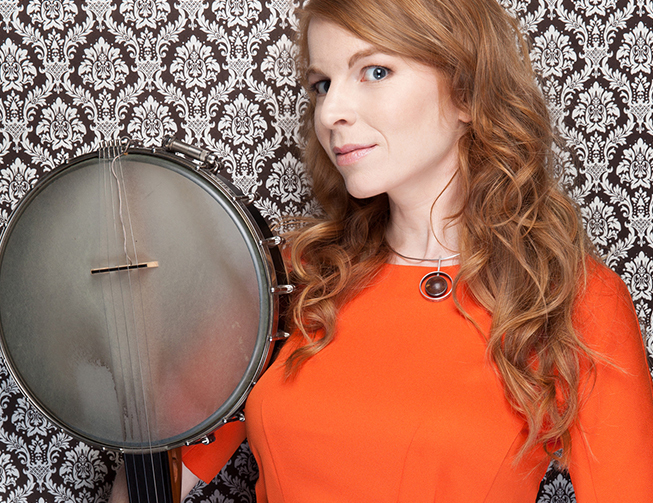 With moira smiley & VOCO, Moira found home for her songwriting and arranging for four female voices, cello, banjo, percussive movement, and accordion. Plaintive, modal, communicative, lush vocal music keeps VOCO in demand in both fine arts and folk venues. VOCO has recorded four albums: Blink (2006), Circle, Square, Diamond & Flag (2008), Small Worlds (2009) and Laughter Out of Tears (2014). New, early, experimental art music is a constant teacher and point of return. She recently enjoyed being the soprano soloist in Stravinsky’s Les Noces, one of eight singers for Stockhausen’s Stimmung, playing the role of Sorceress in Purcell’s 1690 opera Dido & Aeneas, and performing a variety of art song collaborations around the world. Growing up as an uber-serious little pianist, Moira’s early loves were Béla Bartók, Debussy, and Shostakovich – right next to Fats Waller and early American shape-note singing. Her love of Bartók’s short pieces for piano inspires her ongoing project Bartók Sings – re-imagining Bartók’s piano miniatures for voices and strings. In continuation of her early music explorations, Moira taught a semester at University of Birmingham (UK), sung and recorded with the acclaimed Theater of Voices, Fretwork Consort of Viols, The Dufay Collective, and Sinfonye – much inspired by her collaborations with English singer, Vivien Ellis. In 2002, she won the Barbara Thornton Memorial Scholarship for Medieval Music, given by the Sequentia Ensemble, and recorded disc three of the Complete Hildegard Works with Sinfonye (Celestial Harmonies).